The secret of your natural beauty lies deep within you. Your body requires essential building blocks to produce the supple skin, lustrous hair and strong nails you desire. That is why the most effective beauty treatment you can give yourself is the glowing good health of superior nutrition, the kind of nutrition provided by The 30-Day Beauty Secret. The secret of this ingenious beauty system lies in this advanced formula that actually works to replenish those nutritional reserves which the body loses through time. It provides your body with an exclusive combination of all essential vitamins and minerals in a special blend of exotic herbs and nutrients including: royal jelly, dong quai, peony and foti, silica (from horsetail herb), keratin, collagen and gelatin. While far more than a multivitamin, The 30-Day Beauty Secret can replace your daily multi. 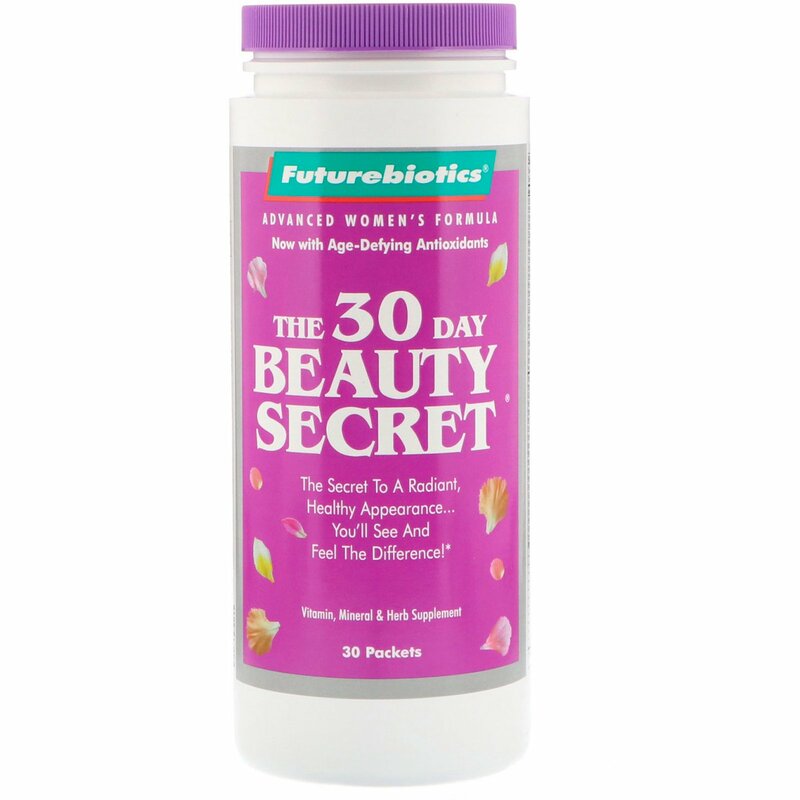 You'll love the almost effortless way The 30-Day Beauty Secret brings your natural beauty to the surface, with the results most women see and feel in a matter of weeks. It is a state-of-the-art formula that often seems to work like magic, but it is really nutritional science at its best. 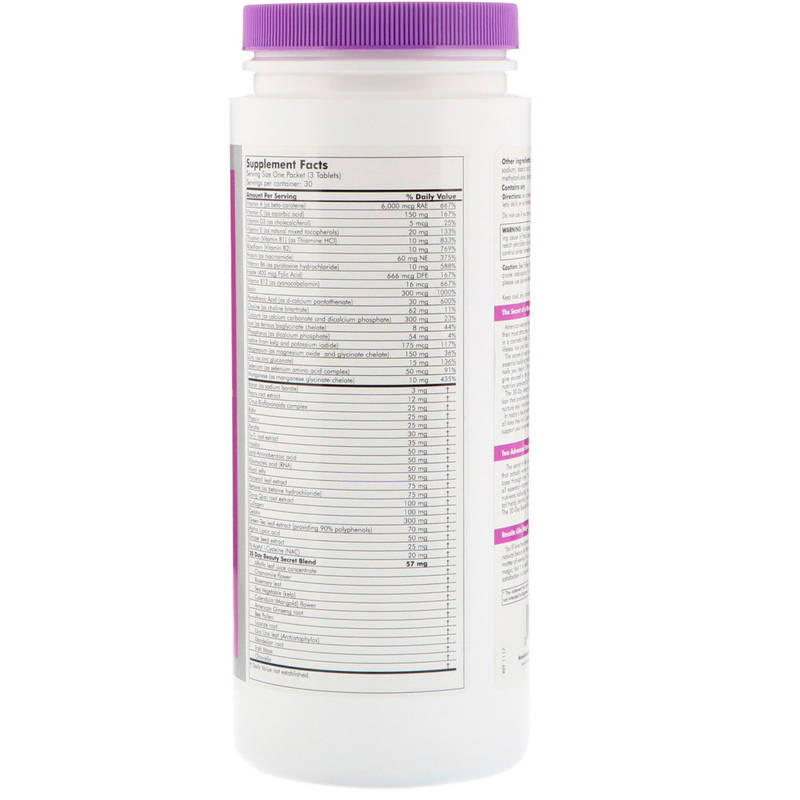 As a dietary a supplement for adults, take one packet (3 tablets) daily or as directed by your healthcare professional.